The yearlong search for a man with the moves and charisma—or, at least, a reasonable facsimile—of Patrick Swayze is over: Deadline reports that ABC’s Dirty Dancing remake, which we’re still not sure we even want to see get made, has just cast its Johnny Castle. 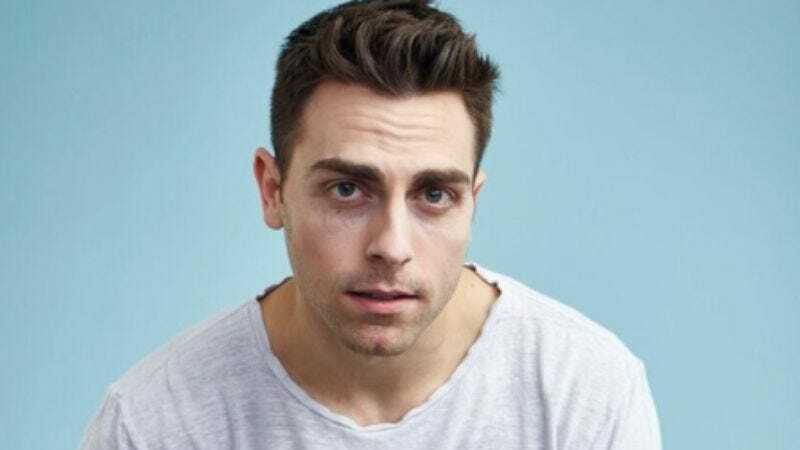 Singer/dancer/actor Colt Prattes will attempt to fill Swayze’s dancing shoes and black tank tops to help Frances “Baby” Houseman (Abigail Breslin) shed her inhibitions, while alternately wooing and evading rich, lonely housewives. Prattes, who spent some time on Broadway as Stacee Jaxx in Rock Of Ages, reportedly drew the production’s “attention for his dance skills (and toned physique),” qualities that were on display in the music video for “Try” by Pink. Prattes effortlessly and sensuously tosses Pink over and under himself in that video, but it remains to be seen if he can catch a flying Breslin. But now that we know who’s playing Johnny and both of the Houseman women (Debra Messing’s playing the mom), we can turn our attention (or ire) to bemoaning whomever will replace the late Jerry Orbach as Baby’s dad.